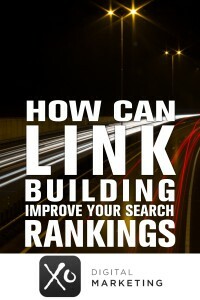 How Can Link Building Improve Your Search Engine Rankings? Link building is a staple SEO strategy, even after recent Google updates. Valuable links can both increase traffic to your website directly, but can also insurease your keyword rankings on search engines. Learn the various types of backlinks to use and implement a strategy to increase your rankings.